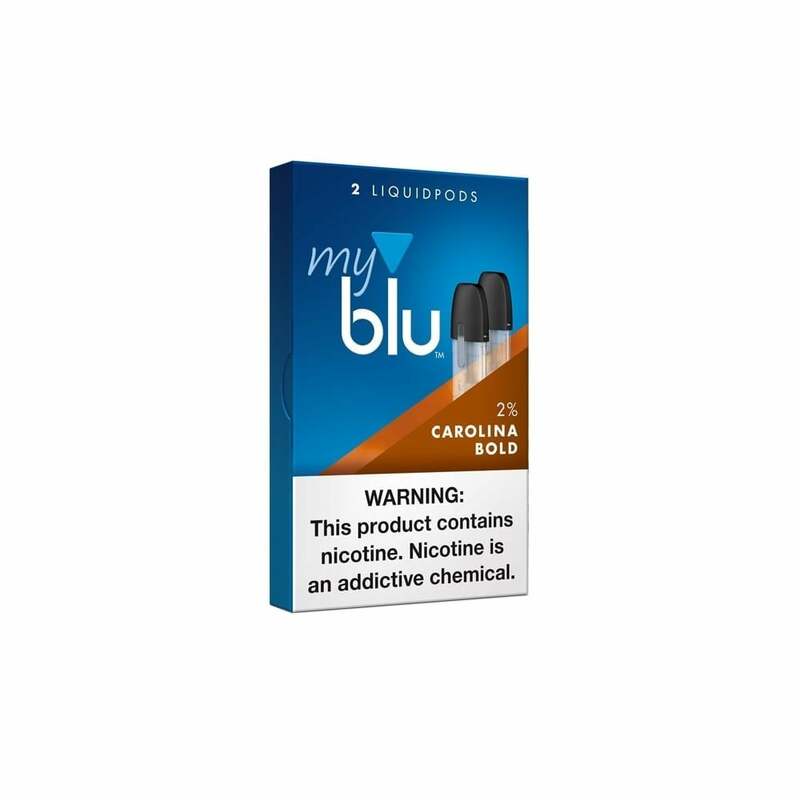 myblu™ Carolina Bold Liquidpods are a great choice for tobacco fanatics looking for something truly robust. Packed with rich, classic tobacco flavor, Carolina Bold Liquidpods deliver a powerful hit of flavor alongside a satisfying nicotine rush. myblu™ Liquidpods are easy to replace: simply pop out your finished pod and click in a new one and you’re ready to vape! myblu™ Liquidpods all have a 1.5ml vape juice capacity and come in a range of nicotine strengths. Their organic cotton wick gives you outstanding flavor and satisfying vapor production. You have to be bold just to get through a whole pod. Leaked a lot, but it was a good tobacco flavor. Better than Classic Tobacco. Easy to order. Ships quickly!